A bold statement I know, but I'm pretty sure these are the best stuffed sweet potatoes ever. 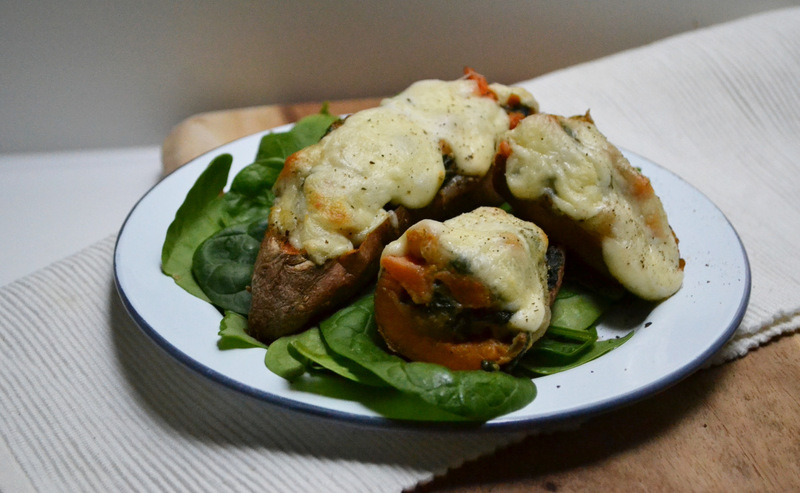 They are absolutely delish, so filling and actually kind of healthy! I adapted the recipe from this one (her photos are so much better than mine!) to give it a more Mediterranean feel because I love the flavours and to be in with a chance of winning a cruise (why not! ), you can find out more about how you can enter too here. Bake the sweet potatoes for around 25 minutes (or until cooked through) in preheated oven at 180 degrees. While they're in the oven, sautee the garlic and chopped onion with the olive oil until translucent. The add the spinach and cook down. Put to one side to cool. Take out the sweet potatoes and leave to cool for a few minutes. Then scoop out the inside into a bowl, making sure to leave a little around the edges so the potato skins can support themselves. Return the skins to the oven for around 5 minutes so they can crisp up. Mash the sweet potatoes with the cream cheese and sour cream, then stir in the chickpeas and spinach, and season with salt and pepper. 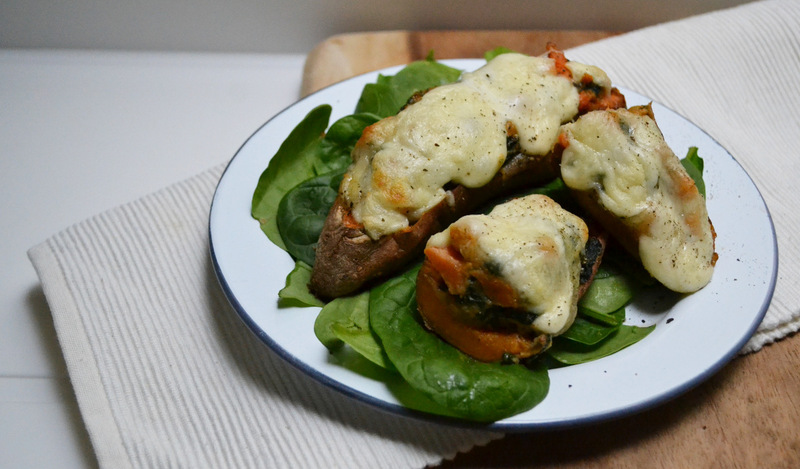 Add the mixture to the sweet potato skins, tear up mozzarella and add to the top. Finish with a sprinkle of black better and return to the oven for 15 minutes. Serve piping hot and enjoy! They make a great side dish or main with salad. If you fancy entering the competition to in with a chance of winning a cruise, find out more here!